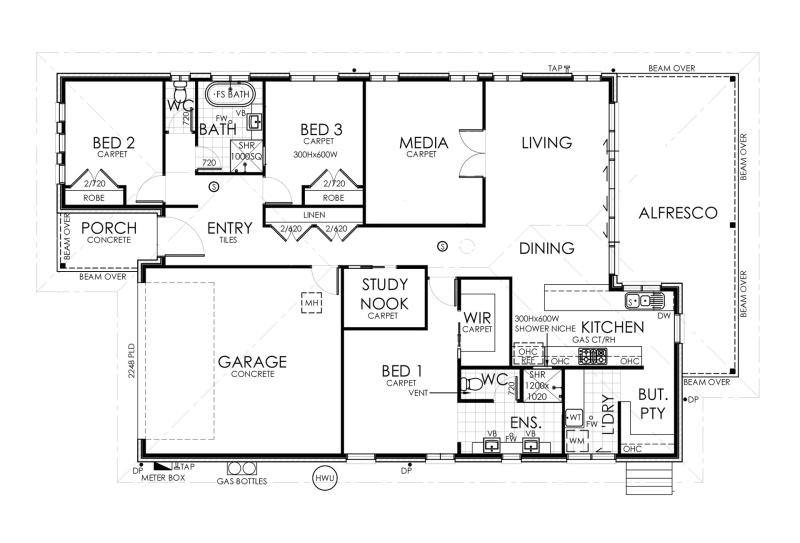 Designed with the living areas positioned at the rear of the home, maximising your privacy and quiet enjoyment. 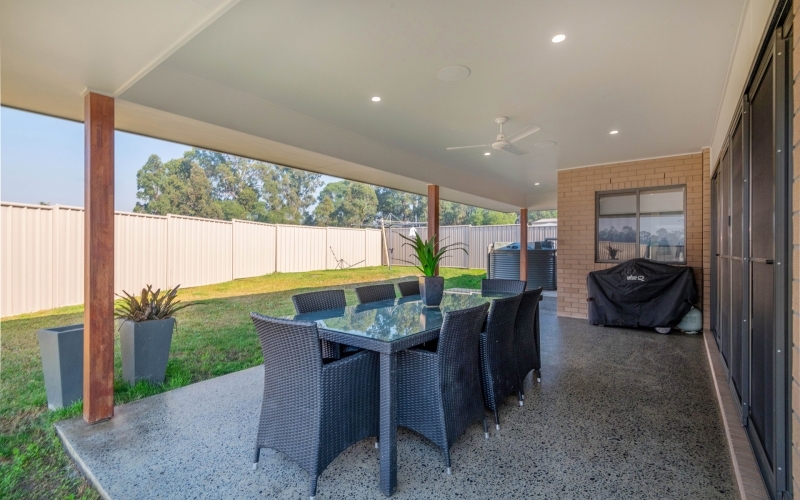 Featuring a spacious air-conditioned open plan living area with vinyl timber flooring and stacker doors that lead out to a huge outdoor alfresco area, boasting a polished concrete floor and an attractive bulkhead ceiling with downlights, speakers and ceiling fan. 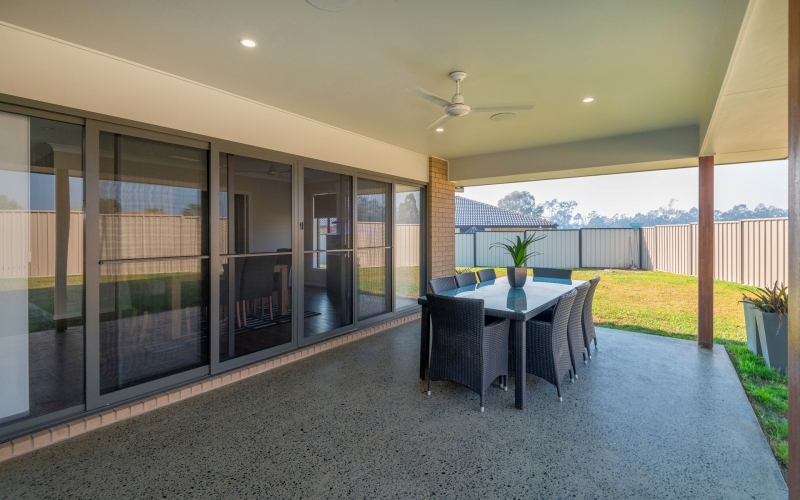 Overlooking a privately fenced back yard with room for a swimming pool with enough space to one side of the home for a shed. 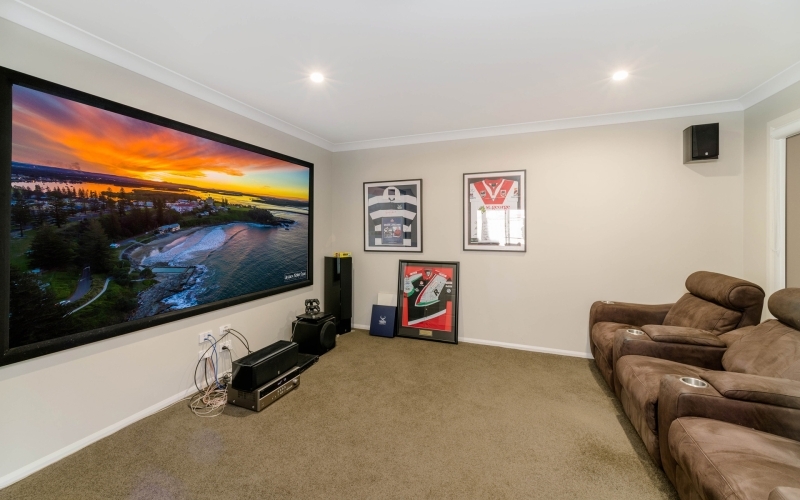 Back inside, just off the main living area is a large media room equipped with a home theatre, providing a great place to relax and watch the footy or your favourite movies. 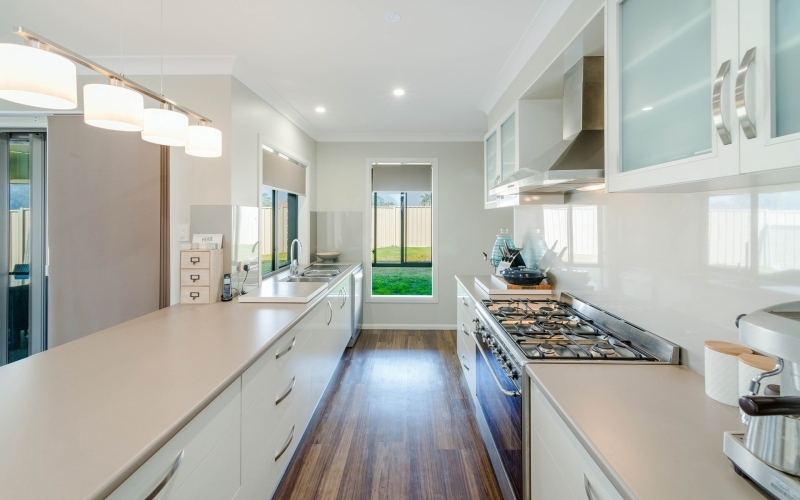 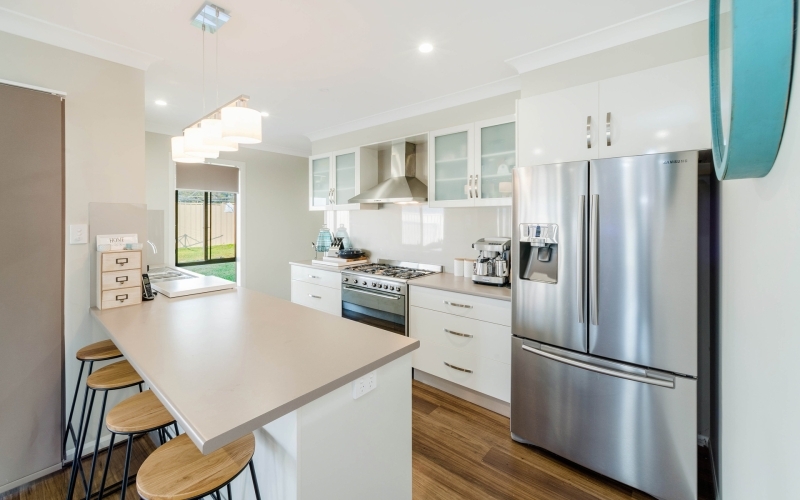 There is also a stunning kitchen with pendant lighting, a large breakfast bar, soft close cupboards and drawers, a large fridge space, dishwasher plus a big 900 wide stainless steel gas stove with wok burner and electric oven. 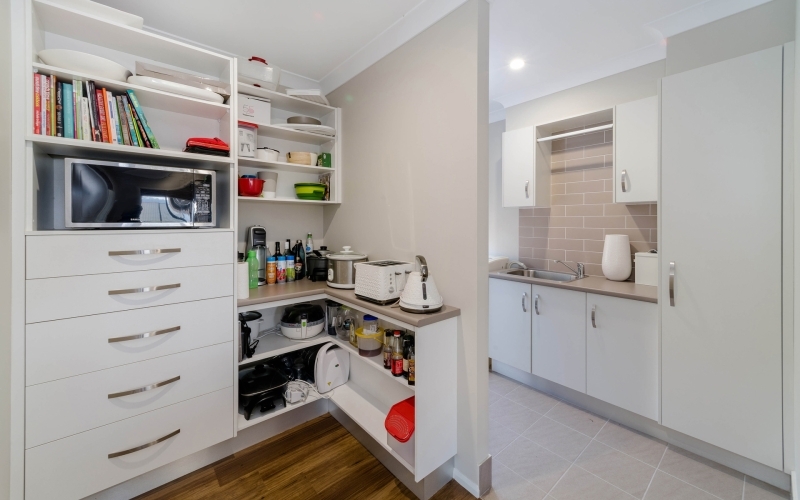 But wait there's more, just around the corner is a butlers' pantry with six wide drawers and shelving for appliances plus a microwave. 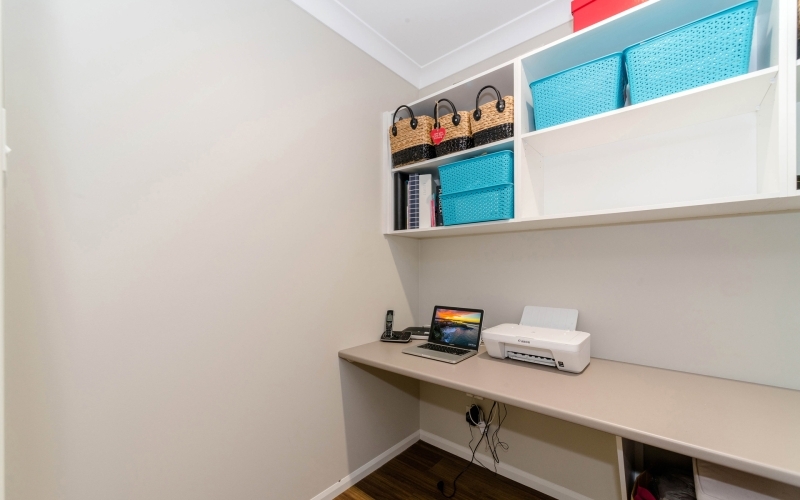 This area also adjoins the laundry. 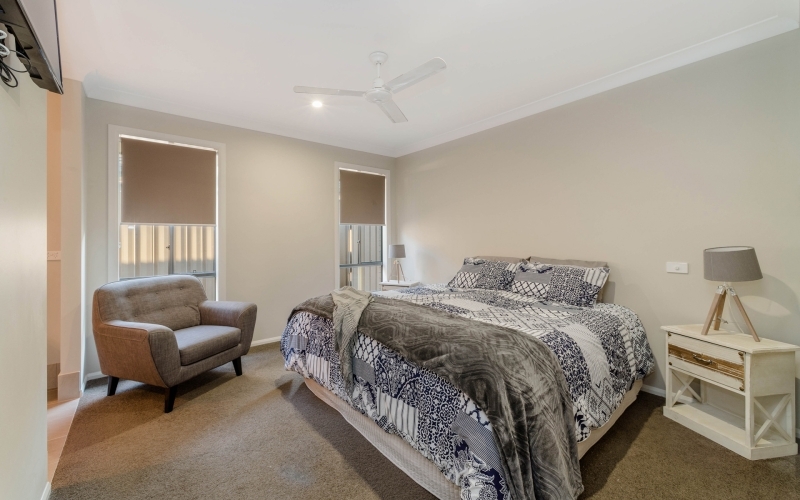 When personal seclusion is desired the sizeable master bedroom is a great retreat with a big walk-in robe and generous size ensuite with his and her vanity basins plus a separate toilet. 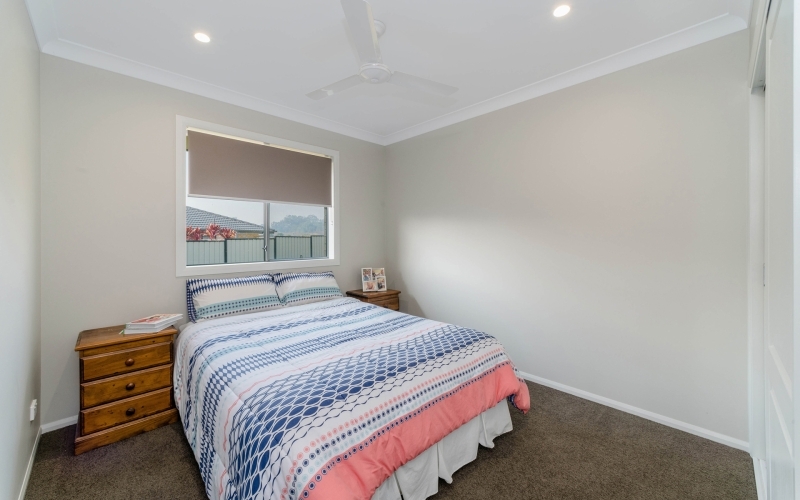 Abutting the main bedroom is a study with a built-in bench and shelving. 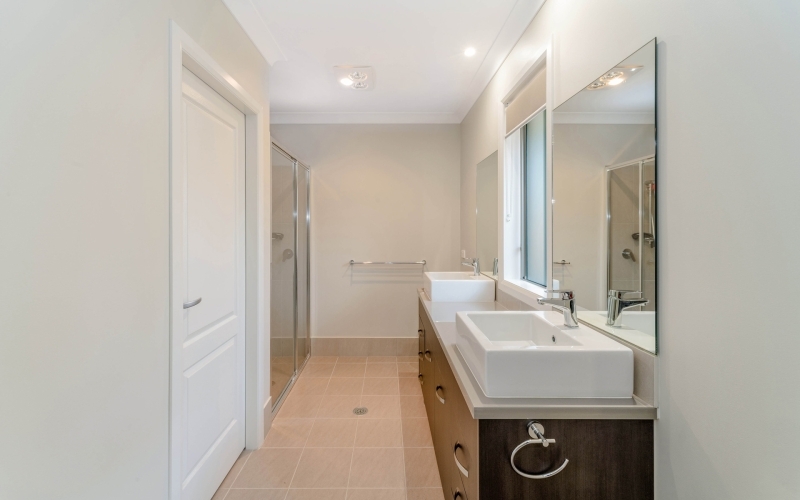 A great room for extra storage or alternatively you could easily convert it to a walk-in linen cupboard. 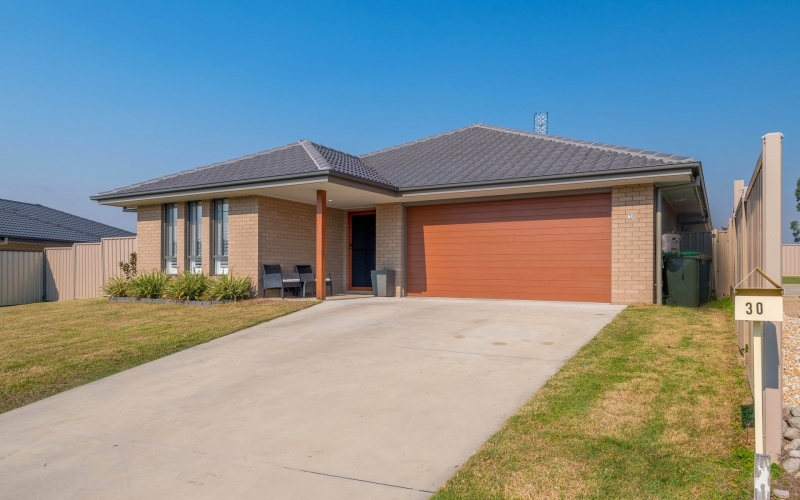 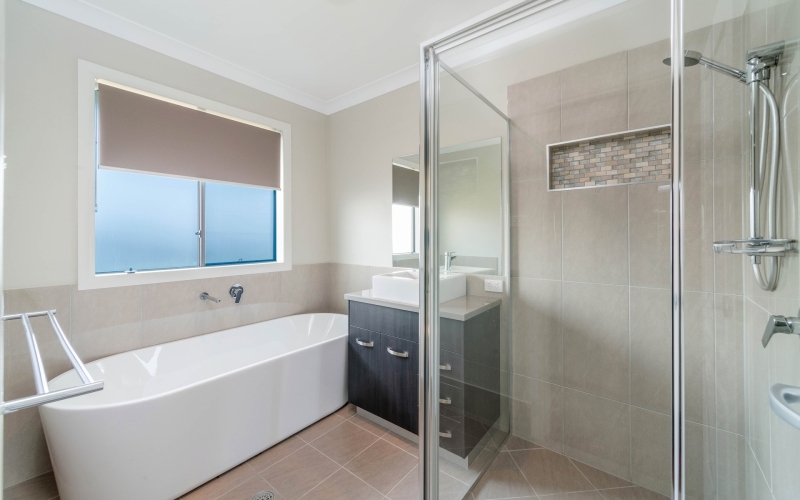 Towards the front of the home there is the double garage with remote and internal access plus two additional bedrooms and the main bathroom with a beautiful freestanding bath to soak your worries away in. 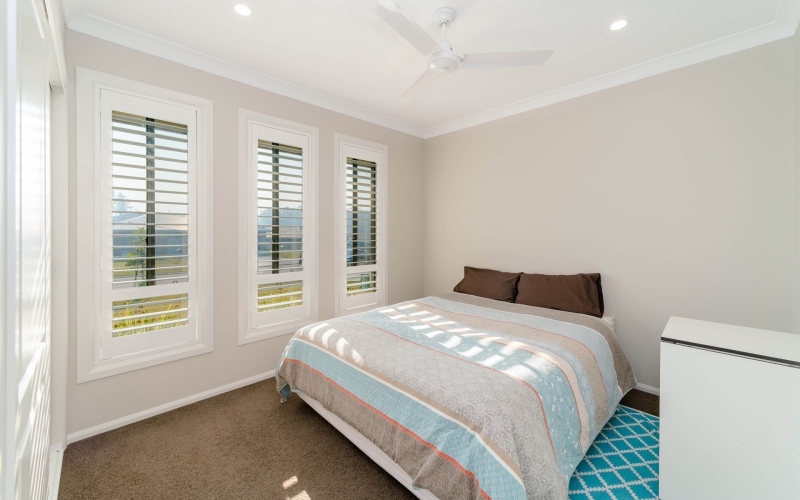 Both bedrooms have built-in robes and ceiling fans but the one at the very front also features plantations shutters. 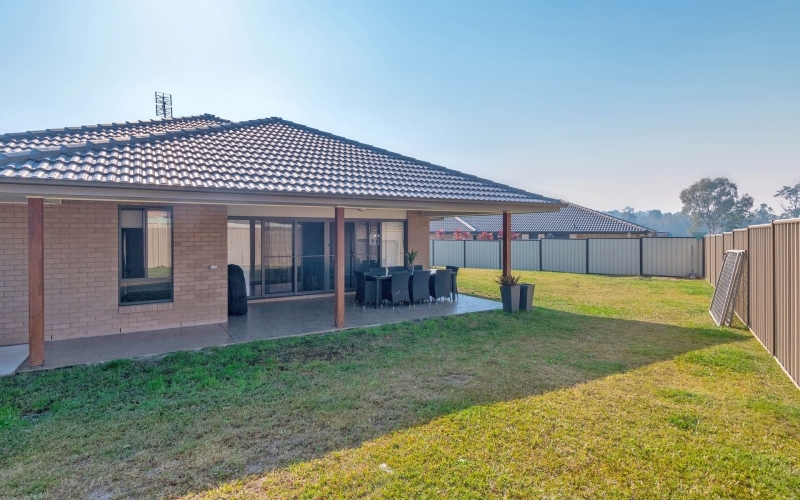 Set on 717m2 with minimal gardens for easy upkeep if you have a busy lifestyle. 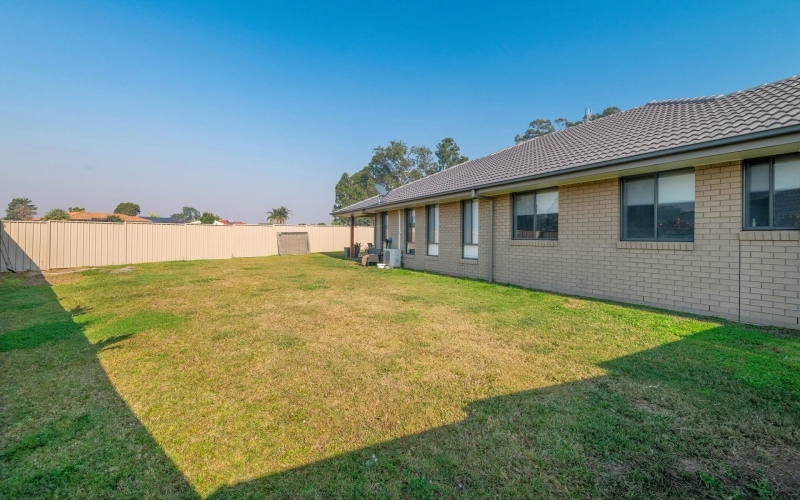 But you like your gardens then this blank canvas gives you room to grow. 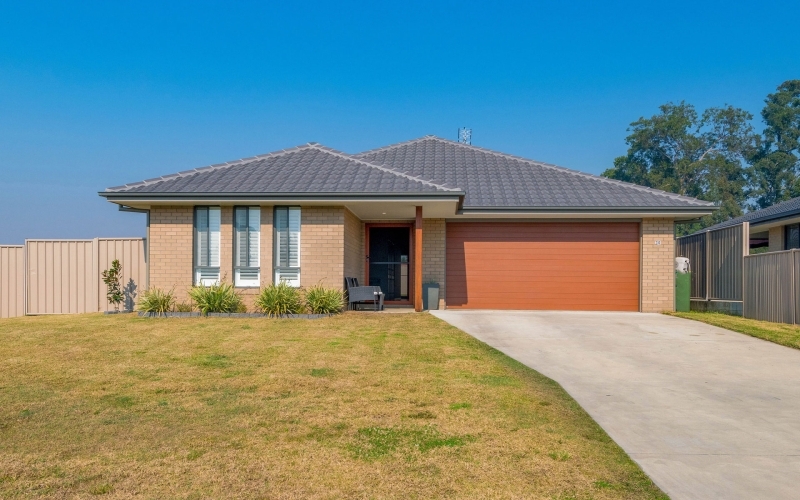 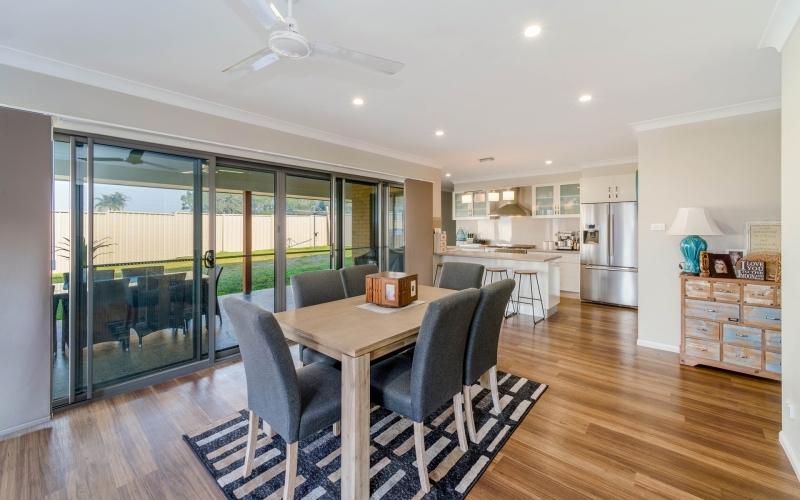 Surrounded by quality homes in a new housing estate only minutes from Maclean and a short drive to both Brooms Head and Yamba, with a General Store, Day care centre and local school nearby.